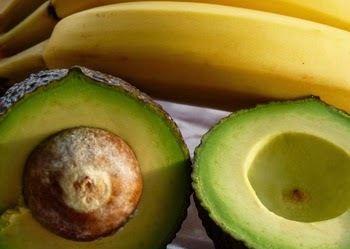 Home > Potassium > How Much Normal Potassium Levels Needed To Maintain Health? How Much Normal Potassium Levels Needed To Maintain Health? Normal potassium levels in the blood, is very important to maintain a healthy body. Potassium is one of the important mineral for the nervous system and muscle contraction, as well as other important functions. Disproportionate levels of potassium in the blood can be a factor of health problems, both potassium deficiency and excess potassium. The kidneys will be affected by both conditions. One of the excess potassium levels effects is hyperkalemia, which is a condition in which the content of potassium in the blood too much. University of Maryland Medical Center even mention, if the body absorbs too much potassium can cause some life-threatening diseases. Some symptoms of hyperkalemia include: numbness, weakness, shortness of breath, vomiting and heart rate becomes faster than usual and even can also result in paralysis. Potassium deficiency or hypokalemia can also be fatal. Potassium is needed by our body to smooth muscle and cell function, heart function, muscle contraction, nerve transmission, to convert glucose into glycogen and muscle building, etc. It is a natural diuretic as it helps in getting rid of excess sodium from the body through urine. Potassium plays a very important role in maintaining the level of fluid, electrolyte balance and acidity of the body. The most important function of the potassium in the human body is to maintain blood pressure and helps in transferring nutrients. It also helps to deal with acne, allergies, fatigue, kidney stones, etc. How much is normal potassium levels? Ideally, the levels of potassium in the blood should be between 3.7 to 5.2. This figure, may be slightly different from one person to another. In other cases, 3.5-5.0 mEq / l are also considered normal in adults. While based on umm.edu site said, normal value ranges may vary slightly among different laboratories. You should talk to your doctor about the meaning of your specific test results. Some laboratories use different measurements or may test different specimens. Normal potassium levels also effect on our heart to function properly. If potassium levels are insufficient, the contraction of the heart can be disturbed. This can cause irregular heartbeat, pulse can also be slow and in chronic cases, this can lead to heart failure. Therefore, to prevent any kind of heart problem, it is necessary to consume these minerals through foods high in potassium. How do we determine the levels of potassium? In addition, the important thing to keep in mind that, in most people often shows the test results with low blood potassium levels than high. Low potassium levels in the blood can damage the heart muscle contraction. If you do blod test to check your potassium levels, it is very advised to consult to the doctor to examine the results.